DALLAS - April 9, 2019 - PRLog -- Families give us many things, but most of all a legacy. Thelma Porter Parros, Sara Davis' mother, left her a legacy in the beauty pageant world. Sara will be a contestant in the Mrs. Texas Pageant on May 4, 2019 at the Palace Theater in Corsicana, Texas. 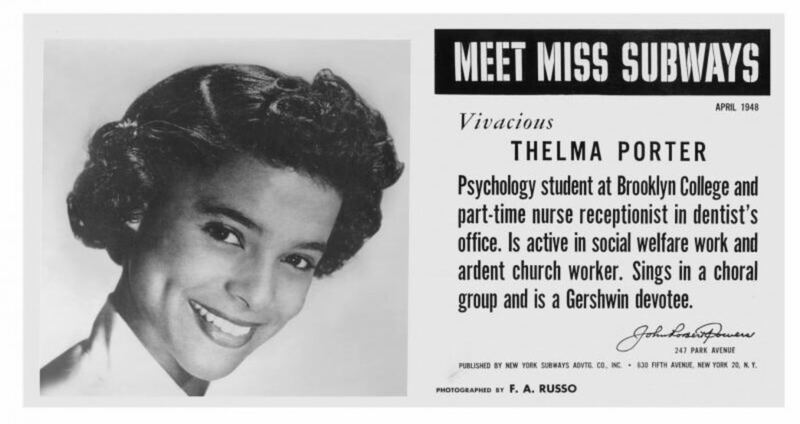 Thelma Porter was a young woman of influence, where it afforded her the support of her peers and gave her the opportunity to be chosen as the first African American woman to integrate the pageant would as Miss Subway New York in 1948. It was an event that brought a great sense of accomplishment and encouragement to the African American community. Thelma's pageant success led her to grace the covers of Jet and Ebony magazines. Sara will now continue her mother's legacy with her participation in this years' Mrs. Texas pageant. To see Sara and learn more about her reasons for running in the Mrs. Texas Pageant, watch this video. Sara's platform for the Mrs. Texas pageant is Health and Wellness for Women, in all stages of life, in all social, cultural and economic backgrounds: physically, mentally, emotionally and spiritually. She is a firm advocate for self-care and adheres to the quote, "God gave us the gift of life: it's up to us to give ourselves the gift of living well" - Voltaire. Sara believes that many health conditions are avoidable when the person is informed. Education and knowledge bring power and power brings motivation. She states, "When we feel powerful, we begin to manifest the success traits of self-discipline, consistency, creativity, healthy boundaries, confidence and joy." Sara grew up in California, married her high school peer Keith Davis and they have two boys, Josiah and Daniel. Sara's passion for people and diversity has taken her all over the world speaking to thousands. She plans to use this pageant platform to carry her message long after the pageant ends through speaking engagements, workshops, conferences and overall education for women.